The Shetland Islands archipelago is the UK’s most northerly island group, made up of over 100 islands, of which only 15 are inhabited. Stretching 96 miles (155km), Shetland has a large coastline at 1,697 miles (2,702 km), over twice the length of the Welsh coastline. Positioned on the same latitude as Greenland, Shetland is closer to the Arctic Circle than to Manchester. The west side of Shetland is open to the whole of the Atlantic Ocean, with the next stop America. 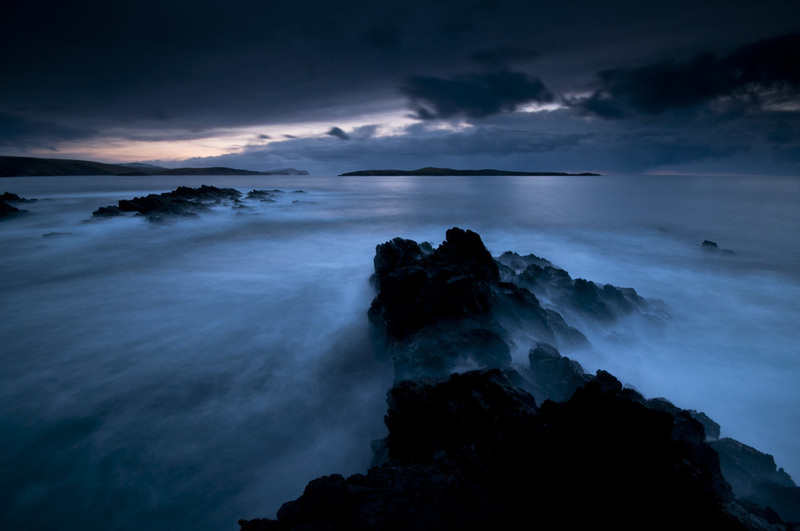 The east side of Shetland is wave swept by the North Sea, with Norway in comparison being a mere 200 miles away. 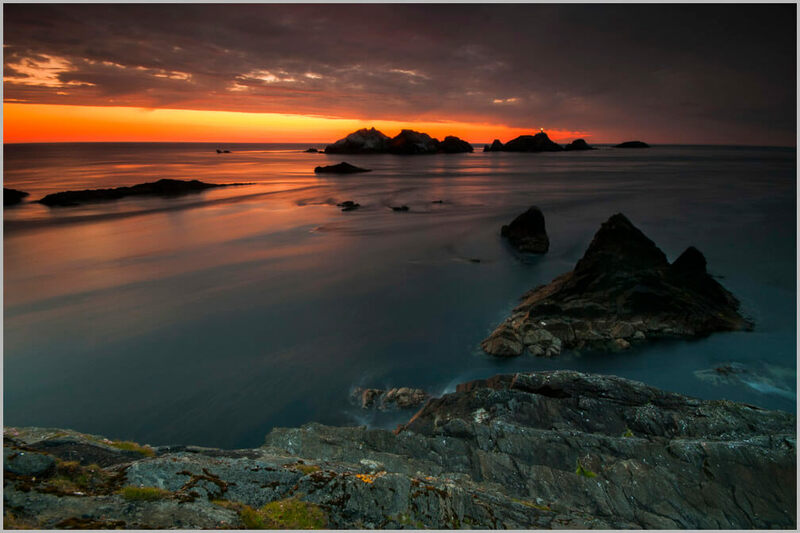 The Shetland Islands offers photographers a diverse and beautiful opportunity to capture a wide variety of coastal landscapes. The dramatic coastline offers a diverse set of seascapes with big cliffs, sea stacks, sandy beaches, rugged rocky coastline and hidden bays. Shetland interior offers a beautiful low lying rolling moorland setting, interspersed with hundreds of lochans of varies sizes. In the summer there is a profusion of wild flowers around the lochans and in the autumn the moorland takes on the autumnal colours. The weather on Shetland is constantly changing, creating a natural lighting show ideal for capturing a dramatic variety of atmospheric light across some of the most beautiful and dramatic views around Shetland. This ever changing light creates a continually varying scene before your eyes, forever changing with no two days, even no two hours being the same. I am offering a unique personal experience of Wild Shetland, one to one, or small groups of no more than four people. I am the guide and tutor and depending on what YOU want from a workshop the workshop can be tailored to suit your needs and time. A dedicated one to one workshop that can be tailored to suit your needs and time. Explore some of Shetland’s unique wilderness through your lens where I will provide dedicated tuition and feedback to improve your landscape photography. 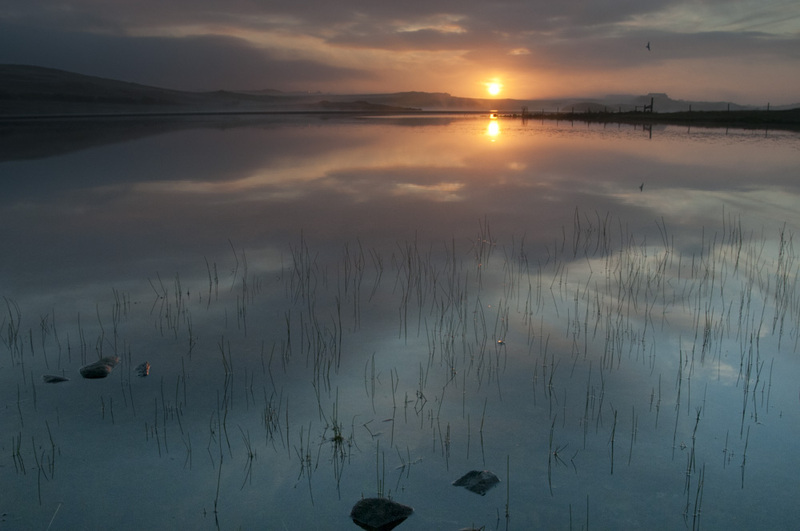 The days will last 8 hours and will take in some of Shetland iconic landscapes, much of which has been designated National Scenic Areas for their outstanding beauty. The day will mainly concentrate on one of the many dramatic coastlines taking in big cliffs, sea stacks and lochans that will aid in fuelling creativity and inspiration. I will be on hand to help you improve your photographic skills, concentrating on composition, using light, mastering exposure and understanding filters. The workshop is informal, friendly and fun while enjoying unique Shetland landscape. 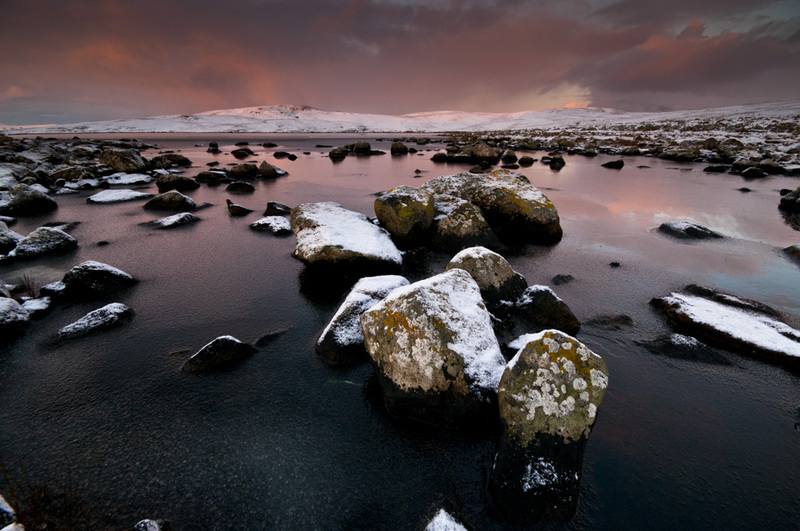 One to one landscape workshops are open to anyone of any skill level. Whether you want to try landscape photography, or just starting landscape photography and want to improve your skills, or have been photographing landscapes for years, the workshops can be tailored to your needs. You can see Shetland Landscape images here. This workshop can be run throughout the year. Please email Richard info@shetlandphototours.co.uk with your preferred date. A dedicated small group of no more than 4 participants, the workshop can be tailored to suit your needs and time. 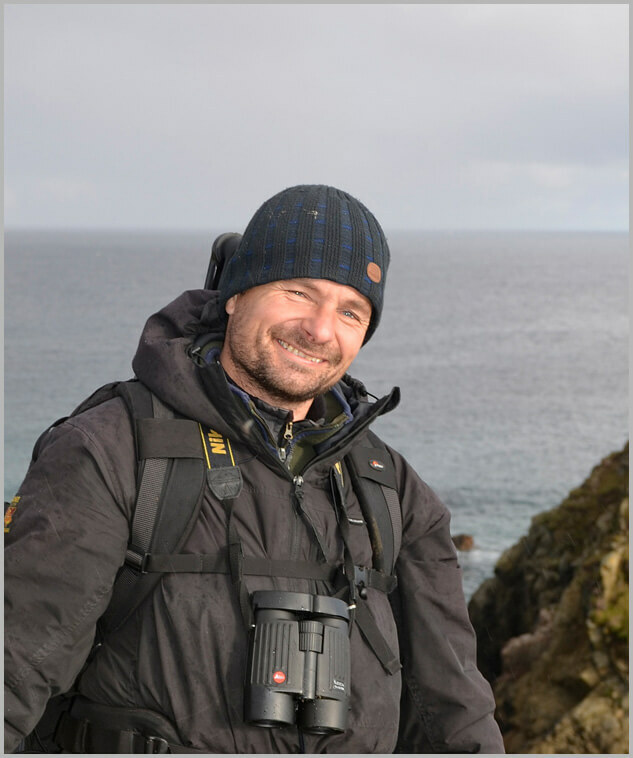 Explore some of Shetland’s unique wilderness through your lens where I will provide dedicated tuition and feedback to improve your landscape photography. 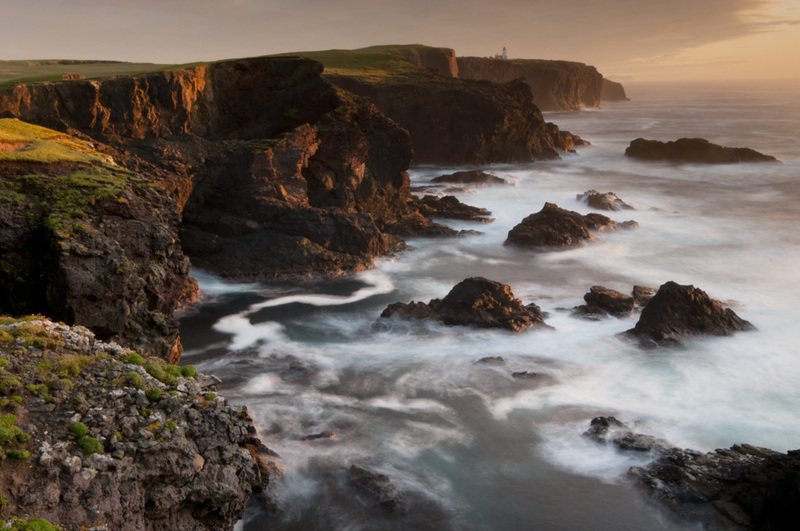 The days will last approximately 8 hours and will take in some of Shetland iconic landscapes, much of which has been designated National Scenic Areas for their outstanding natural beauty. The day will mainly concentrate on one of the many dramatic and inspiring coastlines; taking in big cliffs, sea stacks and lochans that will fuel your creativity. I will be on hand to help you improve your photographic skills, concentrating on composition, using light, mastering exposure and understanding filters. The workshop is informal, friendly and fun while enjoying unique Shetland landscape. Small group landscape workshops are open to anyone of any skill level. Whether you want to try landscape photography, just starting landscape photography and want to improve your skills, or have been photographing landscapes for years, the workshops can be tailored to your group needs.